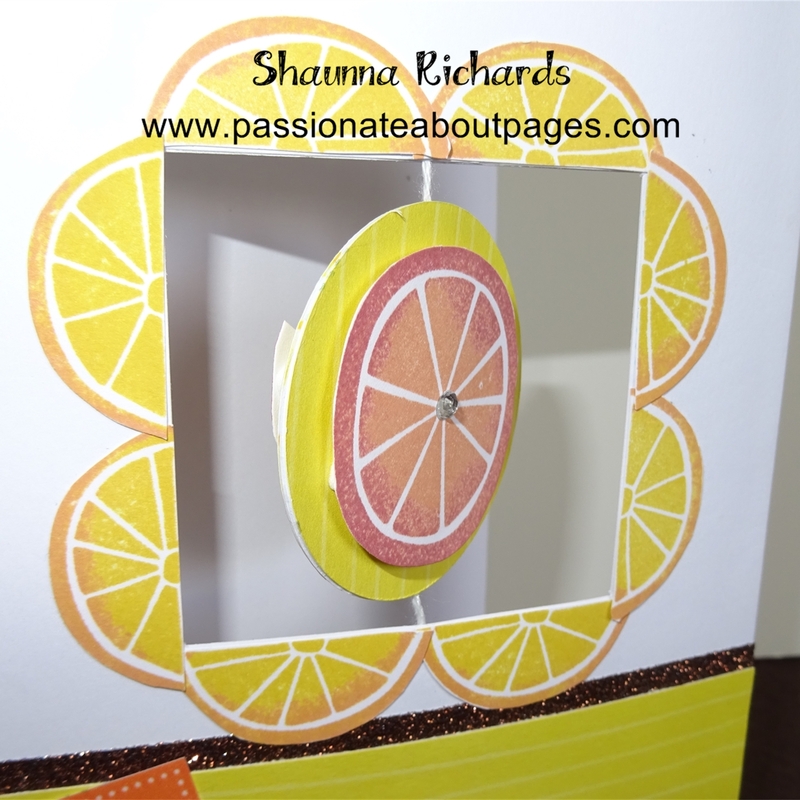 I have LOVED using the Taste of Summer Papers and Stamps throughout May. Here is your final bit of inspiration from me for the month. Each of these cards is a little different to my usual and were lots of fun to make. Spin cards (Z1866) are available to purchase through my website. They are 7″ x 5″ and come in packs of 10. 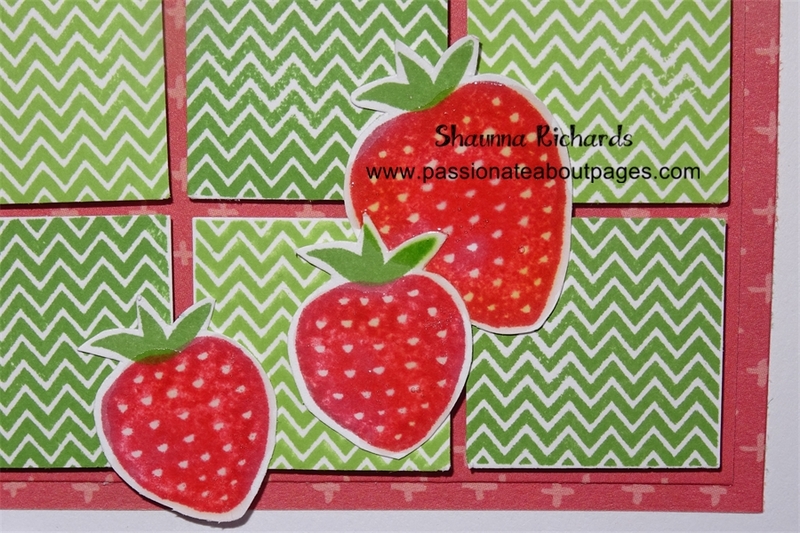 The grid on the strawberry card was inspired by a fellow blogger, laurenctmhcraftings.blogspot.com.au. 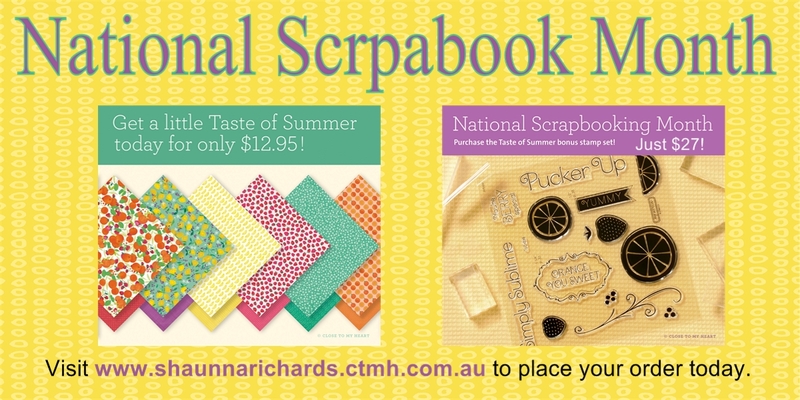 It uses May’s Stamp of the Month, Just Sayin’ . 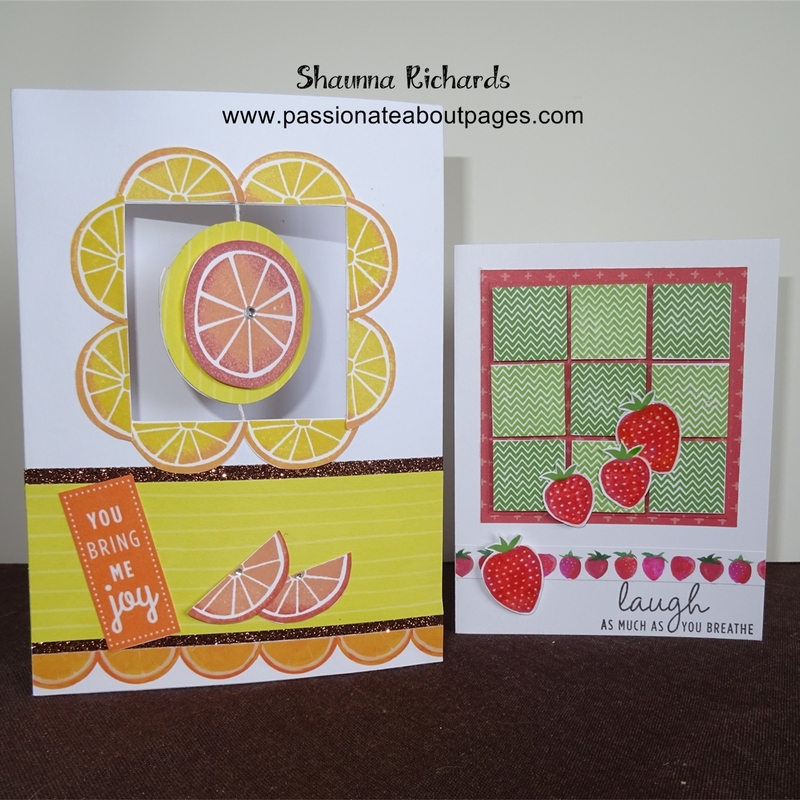 The background grid was created with 1″ squares and Topiary & Pear ink. I used Liquid Glass Z679 to make my strawberries shine.